It is known that Ram Charan is currently busy with his upcoming movie 'RRR' which is a multi starrer with NTR under the direction of Rajamouli whereas Varun Tej is busy prepping for his role in his forthcoming film 'Valmiki' being directed by Harish Shankar. Both are in California and made some time to catch up. They had breakfast together and even took selfies. "Randomly bumped into Mr.C in Cali! 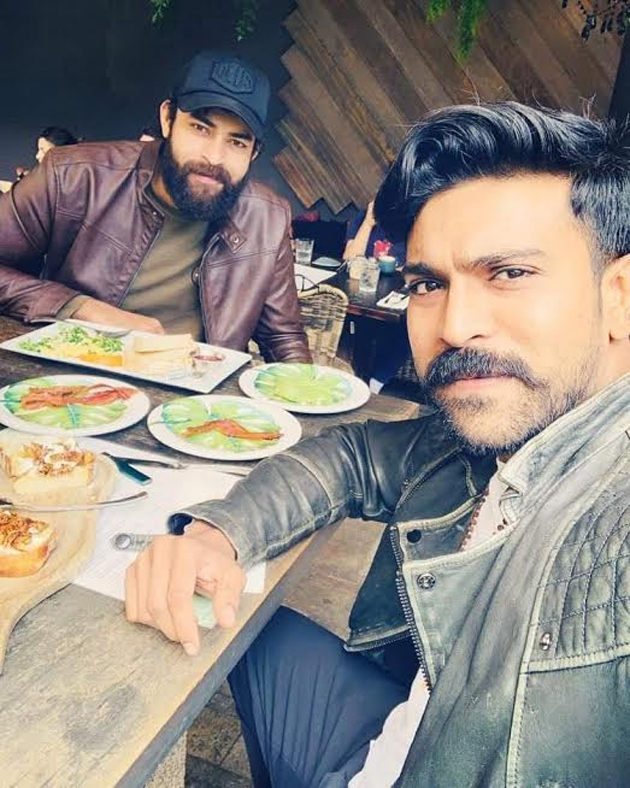 #brotherlove" captioned Varun Tej posting the pic on Twitter.